Planning ahead when you travel can greatly reduce all sorts of stress, leaving lots more time for fun. This pre-trip preparation can be particularly important for travelers with a medical condition such as diabetes, who must be more diligent about their health related plans. These 5 Diabetes Travel Tips are simple to implement and crucial to your diabetic maintenance while away from home, especially if your are traveling abroad or for long periods of time. This slideshow has some quick medical preparations can help ensure a safe and enjoyable trip. Just try to remember… Whatever your mode of transportation, traveling should be fun. A bit of pre-trip planning and a positive attitude can help to keep you feeling healthy, freeing you up to make the most of your trip knowing you’ve prepared for medical situations. We hope this slide show was helpful and informative. Should you have questions, or suggestions, please feel free to fill out our Ask the Doctor form. Also, don’t forget to check out our complete listing of Blood Sugar products. Planning ahead when you travel can greatly reduce all sorts of stress, leaving lots more time for fun. This pre-trip preparation can be particularly important for travelers with a medical condition such as diabetes, who must be more diligent about their health related plans. 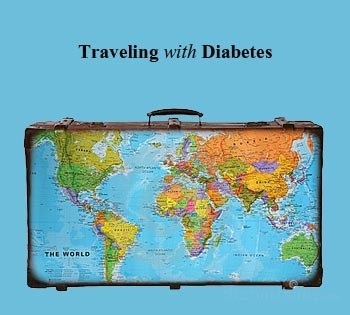 These 5 Diabetes Travel Tips are simple to implement and crucial to your diabetic maintenance while away from home, especially if your are traveling abroad or for long periods of time.This slideshow has some quick medical preparations can help ensure a safe and enjoyable trip.Just try to remember… Whatever your mode of transportation, traveling should be fun. A bit of pre-trip planning and a positive attitude can help to keep you feeling healthy, freeing you up to make the most of your trip knowing you’ve prepared for medical situations.We hope this slide show was helpful and informative. Should you have questions, or suggestions, please feel free to fill out our <a href=”https://www.oakwaynaturals.com/ask-the-doctor/?utm_source=drscorner&utm_medium=blog” target=”_blank” rel=”noopener” data-mce-href=”https://www.oakwaynaturals.com/ask-the-doctor/?utm_source=drscorner&utm_medium=blog”>Ask the Doctor form</a>. Also, don’t forget to check out our complete listing of <a href=”http://www.oakwaynaturals.com/blood-sugar/?utm_source=drscorner&utm_medium=blog” data-mce-href=”http://www.oakwaynaturals.com/blood-sugar/?utm_source=drscorner&utm_medium=blog”>Blood Sugar products</a>.